Time to make a Bunny! Lay the face cloth out flat. Roll from corner to corner to create a long tight tube. Tear off a small piece of cotton wool and roll into a ball to make the tail, this is held in place by putting the egg in the bunnies tummy. Glue the googly eyes to the head section of your bunny. Hide your bunny ready to be found! I found some ribbon which i tied round my bunnies neck which i think makes him look even cuter! Pro Tip – If your egg is too big for your bunnies belly you can make your bunny sitting down by folding your rolled up face cloth in half and then back on itself. Next use one elastic band to divide the head from the body. I would love to see your bunnies! Please tag us so we can see you creations @upinlightsdanceacademy on facebook or #UILDA on instagram! Dance is amazing fun but it also improve and builds emotion, physical & cognitive skills. Children Learn From Physical And Sensory Experiences. Our dance classes are designed around Key physical skills such as Balance, transference of weight, jumping, lifting, Bending and stretching. With each dance have a matching prop and character to add a creative and sensory element to each dance. Such as we have a froggy dance to strengthen the legs and promote control when jumping. They also have to figure out how to put the head band on and what way the eyes face, this improves cognitive recognition and increase dexterity. No matter who you are, where your from, How old you are, Dance units us all! Dance creates a great opportunity to meet new people develop social skills and make friends! Many of whom they will start primary school with, Taking the edge out of what can be a really scary step in a child’s life. Dance is for everyone! Don’t believe me look at this cutie! Dance requires discipline and focus translating to being able to focus longer in class and solve problems. 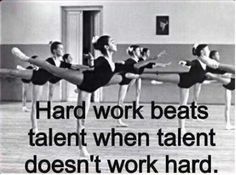 A recent Harvard study found those that participate in dance classes achieved higher results on there SATS tests. And Best Of All They Develop These Skills Without Even Realising It Because It’s Fun!! 1) Brush the hair into a tight high pony tail, use a comb to smooth out all the kinks. 2)tightly secure with a hair band. 3)starting at the base of the pony tail twist the hair tightly as you twist it should nautrally form a circle round the hair band. if not you can incourage it round with you hands. 4) keep twisting until the intire pony tail is twisted into a bun. the end of the pony tail can be tucked under the bun to form a smooth bun. 5) secure with a hair tie or two. 7) use your hand like a claw around the ponytail pressing down to flatten the bun to the dancers head. 8)use your fingers of the claw like a guide for wear to put the bun pins not forgeting to do secure the bottom of the bun too. 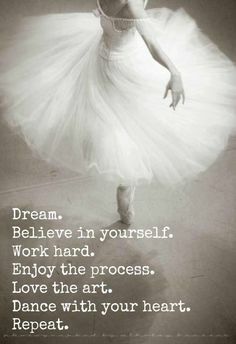 First things first, Darcey Bussell didn’t start dancing till she was 11, Martha Graham did start dancing till she was 17, If any one tells you its too late THEIR WRONG! Don’t Worry (i know easier said than done right) not only is it more common than you’d think and its down to you how far you want to take it! Who’s to say you wont be the next Misty Copeland, she started when she was 13. I’d recommend looking at what classes are offered in you local area find one that suitable for beginners and no by this i don’t mean asking to attend a 4 year old’s class when your 25 hahaha 😛 . Start of with a fun class aimed at teen beginners like our superstars class. You want a class that friendly and will cater to you needs, theirs no point doing something if you don’t enjoy it you will learn more if your having fun! Work Hard! – Just because you start dancing in your teens doesn’t mean you wont be just as good if not better than a dancer who started when they were 2. Its all about hard work passion and drive. Passion, drive and the want to learn will get you further than talent will alone. Recognize your own strengths and weaknesses don’t focus on other dancers strengths around you they could be more flexible but you might be able to jump higher or pick up routines faster. Own your own ability and work hard to improve you weaknesses and strengthen your strengths. Be YOUR best. Go all in, no one made history by dreaming small! Do what makes you happy there’s no point getting up every morning to do something you hate.